Our novelty cat cake delivered us another happy customer! 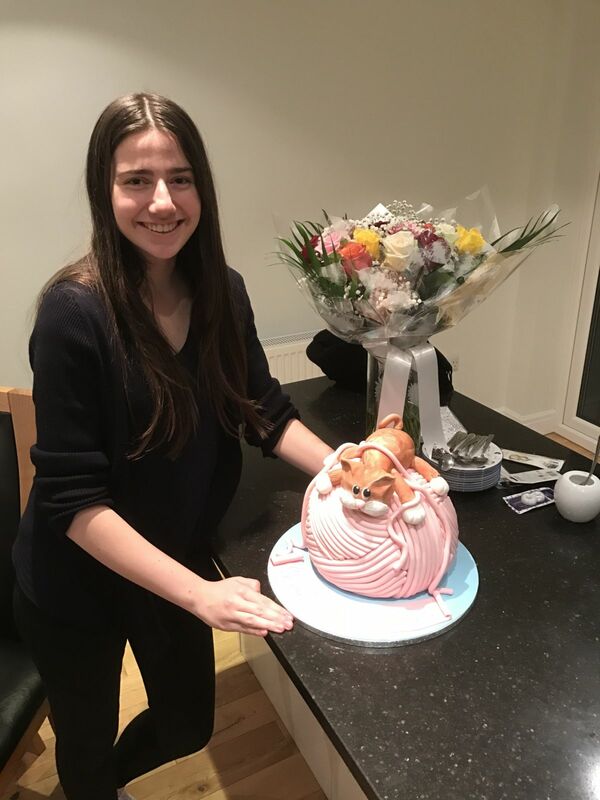 Marko from Ealing contacted us recently to create a cat cake for his feline loving daughter for her 18th Birthday. She couldn’t have been happier with the result! My favourite part of this cake has got to be the tabby cat, we made the cat from sugarpaste using a marbling technique to give that tabby cat appearance, its completely edible but can also be removed from the cake and kept as an everlasting memento. To view more examples of our novelty cakes, please click here. If you’re looking for a cake for a special occasion, please send an enquiry via our contact page and Gina will be in touch to discuss your requirements.